Save frequently used customs information, for example 'origin country', 'export type' and 'tariff code', as a Customs Profile and this will be filled out automatically every time you see the customs form. Give Autopilot the green-light to automatically populate customs lines for each line item in an order and estimate the weights so you can book an international shipment with just a couple of clicks. 2. Then scroll down the page till you find the International shipping section. Then click the Edit default customs information button. 3. 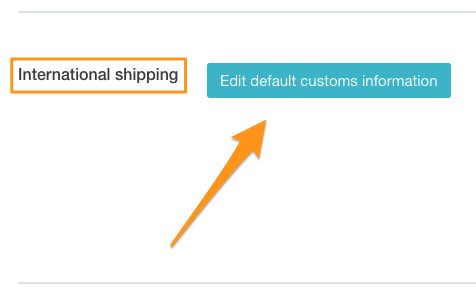 Now you just need to setup your Customs Profile defaults. B) Then adjust your Per-item defaults. You can turn each of these on or off using the toggle switches the left-hand side. And you can set your default values on the right in the Default value column. Then when you're happy with your defaults just click the Save button. 4. 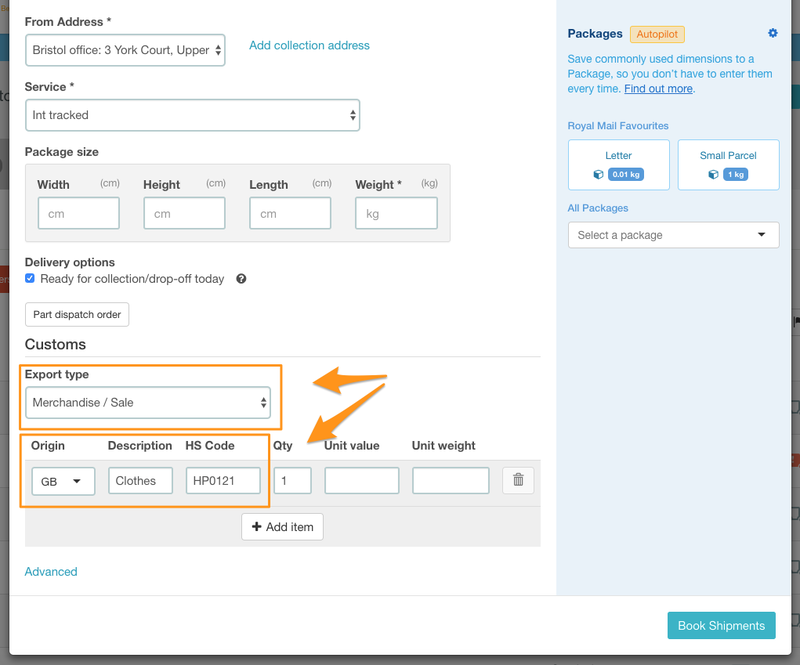 Now when you create a shipment for an international order you will see the all the defaults you set prefilling your customs forms. You can now process the rest of the shipment as normal. 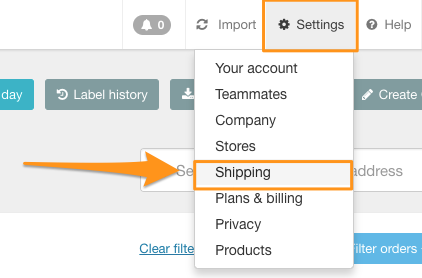 Autopilot can now fill out the rest of the customs form so you can book an international shipment with just a couple of clicks. With Smart fill switched on Autopilot will use the order information to populate the customs form automatically. This includes creating product lines on the customs form. Autopilot will dynamically add unit weights to the line items. This weight will be an estimate based on the weight that is inputted on the package. For example, if the package has a total weight of 500g and two line items, each line item will be given a weight of 250g.